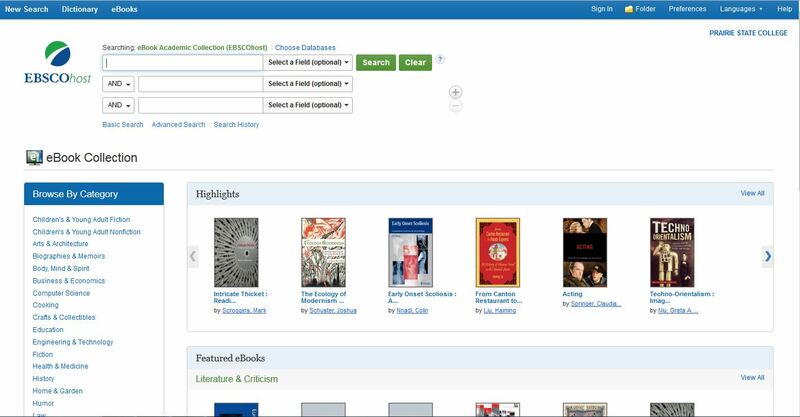 The PSC Library recently acquired access to a new online research database! The new database, Slavery & Anti-Slavery: A Transnational Archive, contains an enormous amount of documents about slavery, the slave trade, emancipation and abolition movements, not only in the United States, but throughout the world. According to the publisher, the archive contains over 12,000 books, 71 manuscript collections, Supreme Court records and briefs in 377 cases, along with chronologies, bibliographies, and more. 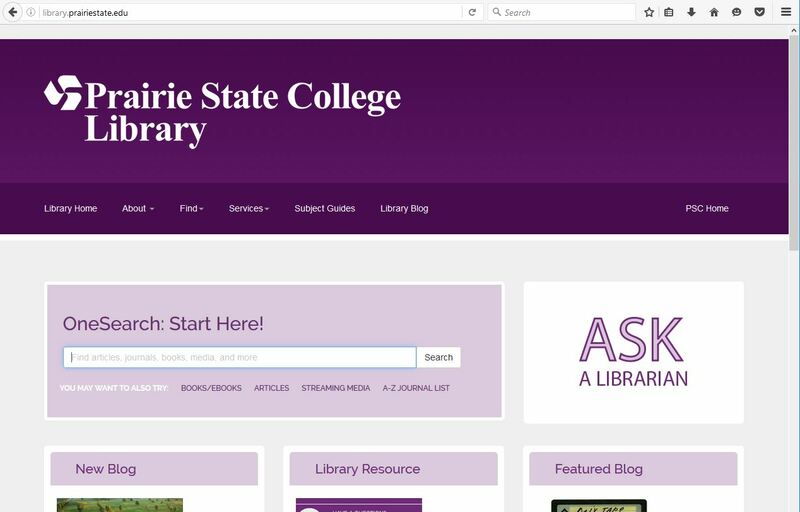 To get to the database, first go to the PSC Library website, then click on the “All Databases” link to go to the database list. 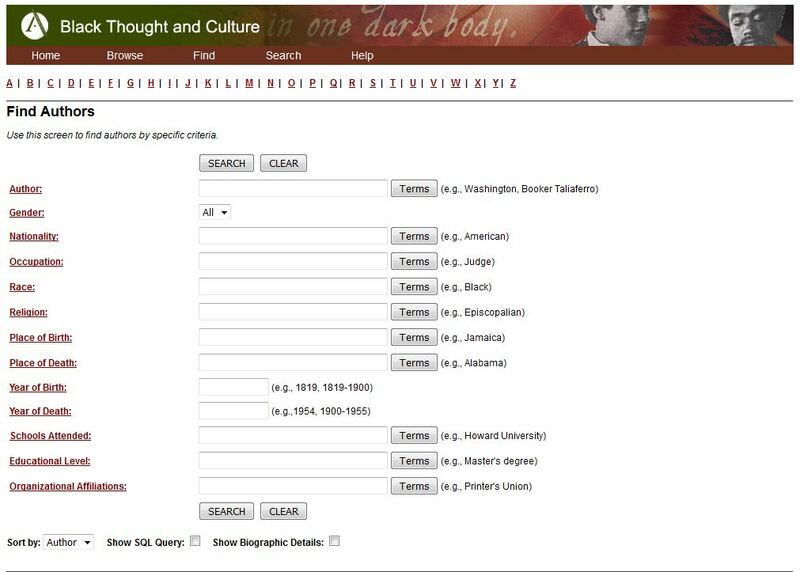 Once you are on the databases list page, click on “S,” then on Slavery & Anti-Slavery: A Transnational Archive. Once you are in the database, you have a number of options. 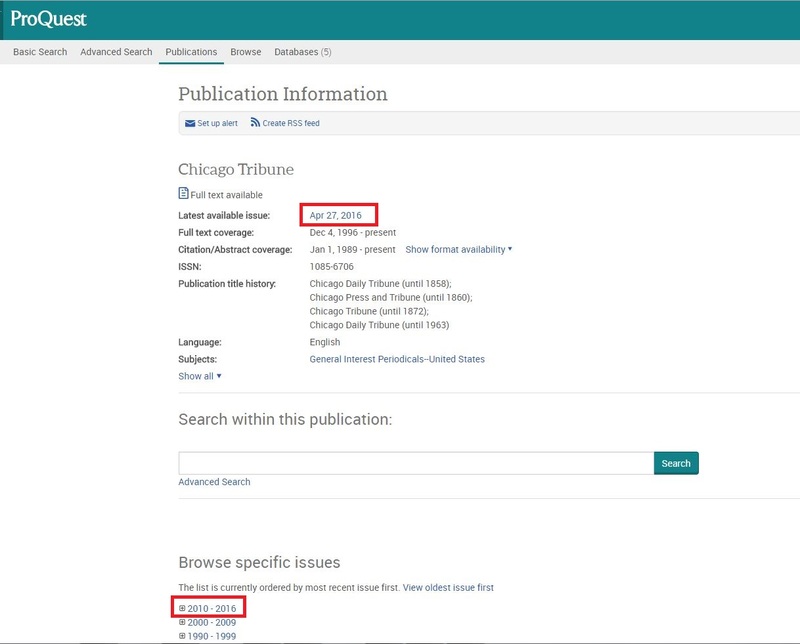 You could simply type some keywords into the search box, or you could try an advanced search, which will give you options to limit results by publication date, source type, and other categories. One of the more interesting ways to begin if you don’t have a particular topic already in mind is to start with the Research Tools section. 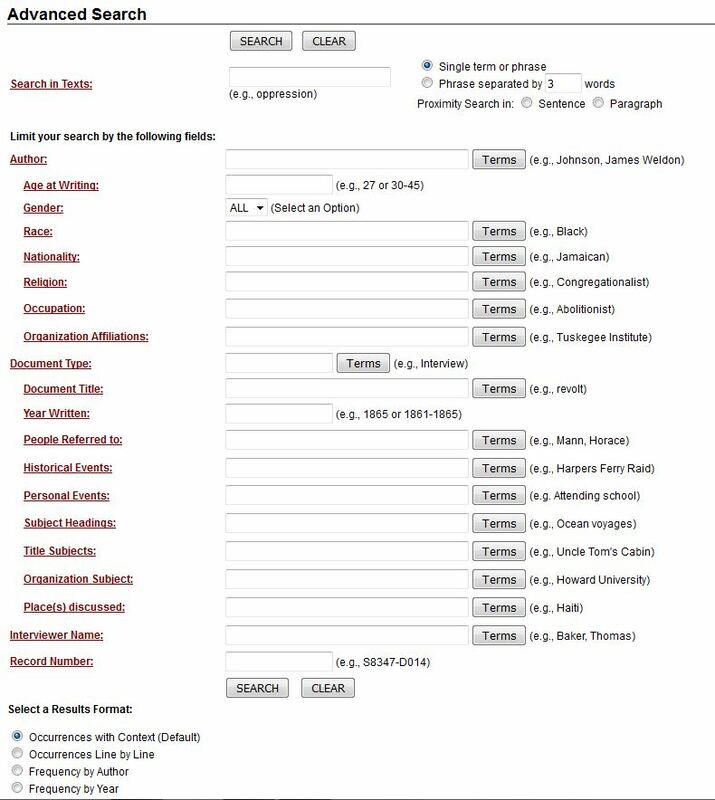 Using the Research Tools link, you can learn about the the various collections that make up the databases, which tells you a bit more about their contents. For example, the image above shows the contents of one of the collections, namely documents concerning slavery and its abolition in the Danish West Indies (now known as the US Virgin Islands). 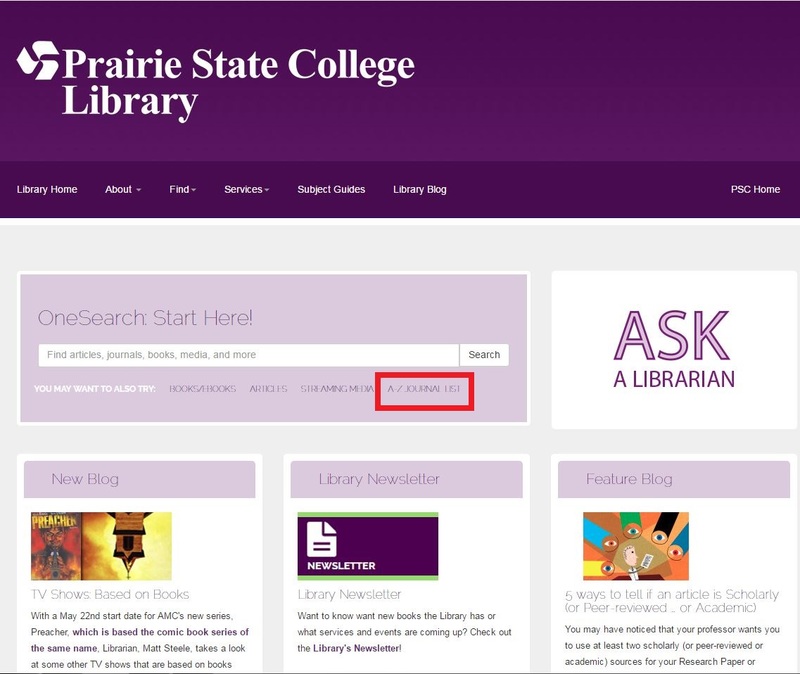 If you have any questions about accessing this research database or using it, feel free to contact the PSC librarians! Here are the books most checked out or read online at Prairie State College in 2016! Maybe it’s no surprise given the popularity of Lin-Manuel Miranda’s musical, Hamilton, but Hamilton by Ron Chernow was tied for most number of check-outs, along with Cambodge: The Cultivation of a Nation, 1860-1945, by Penny Edwards. Following on those two, we have next group of highly-read books, a nice mix of fiction and non-fiction. Just behind those titles in popularity come our next batch! Following up a recent post on this blog addressing the issue of fake news, it’s worth addressing an issue we sometimes run into when patrons come into the library looking for information on conspiracy theories. For example, if someone were to ask for a resource about how best to spot a reptilian, or for information about how NASA faked the landing on the moon, we would have a problem, because the kinds of books and articles that address those questions don’t generally meet the criteria for inclusion in the library’s collection. The main thing that keeps them out is their lack of references to anything resembling objective evidence, let alone scientifically verifiable studies. As works of fiction, they fail the requirement of literary merit. 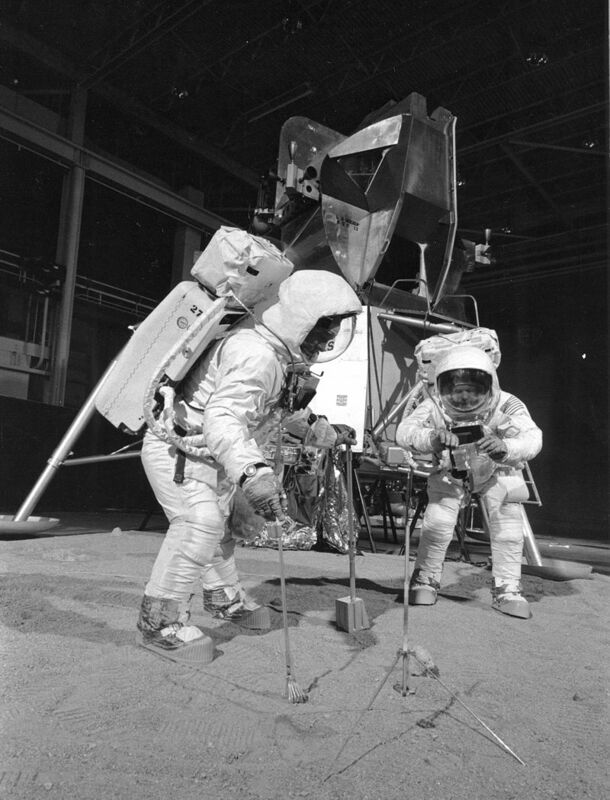 A photo of the Apollo 11 crew during training, sometimes pointed to as supposed evidence that the whole moon landing was done in a studio. This is not to say we don’t have information about particular conspiracy theories, or how they emerged, or why people believe them. We certainly have resources along those lines. This scientific paper, for example, explores how the tendency for people to believe in conspiracy theories is related to their perceived lack of control in the world. We also have many books and articles that cover real conspiracies, which certainly have occurred, such as the Tuskegee Syphilis Experiment, Nixon’s Watergate conspiracy, Project MKUltra, and so on. Real conspiracies are eventually uncovered, and one researcher has even offered estimates for how long it should take conspiracies to be uncovered given the number of people that would have to be involved. For example, given the number of people who would have had to be involved in the conspiracy, the moon landing conspiracy should have been outed in a bit under four years. Finally, if you’d like some help deciding whether something you’ve found on the internet is discussing a real conspiracy or a conspiracy theory, check out this short checklist in Scientific American. Your PSC Librarians are also happy to discuss questions about evidence and information creation. 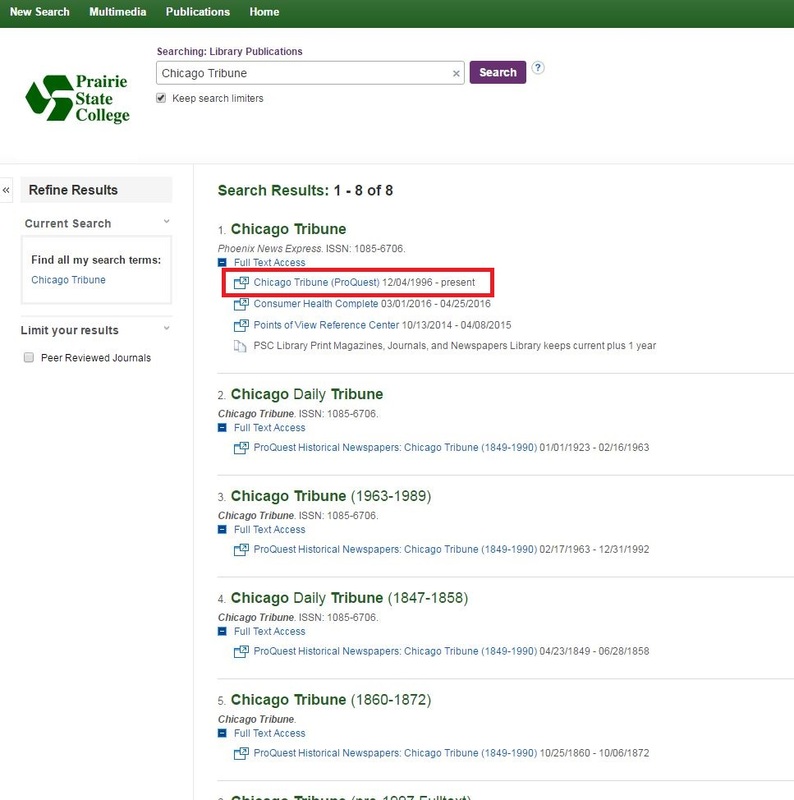 While the PSC Library subscribes to the Chicago Tribune in print, you may not know that we also provide access to the Chicago Tribune and Chicago Tribune Historical Archive databases, where you can search for and read the text of articles going all the way back to 1849. This can be a great resource for research on topics involving local history or even of how national stories were reflected in the Midwest at the time. You can also just read the articles from today’s issue of the paper. 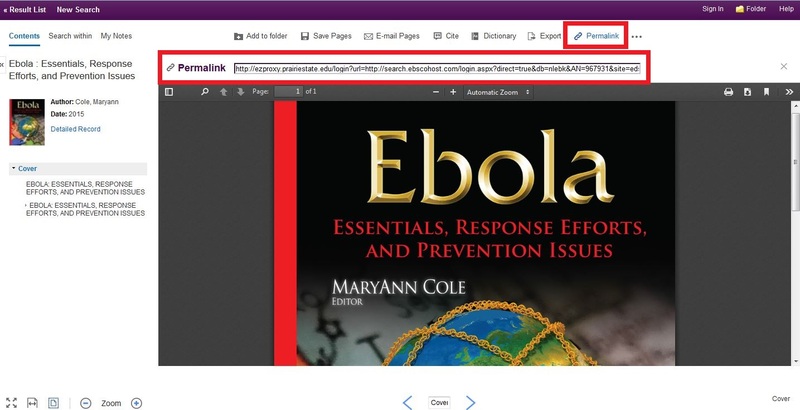 Once you’ve found an article, you have the usual variety of tools available in most databases, for citing, emailing, and saving articles. 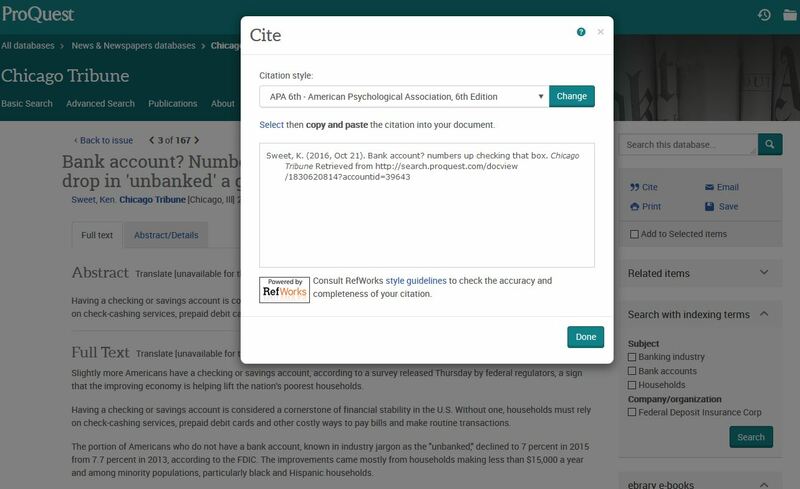 As an example, here is the citation tool, which pops up when you click on the “Cite” link on the top-right of the screen. 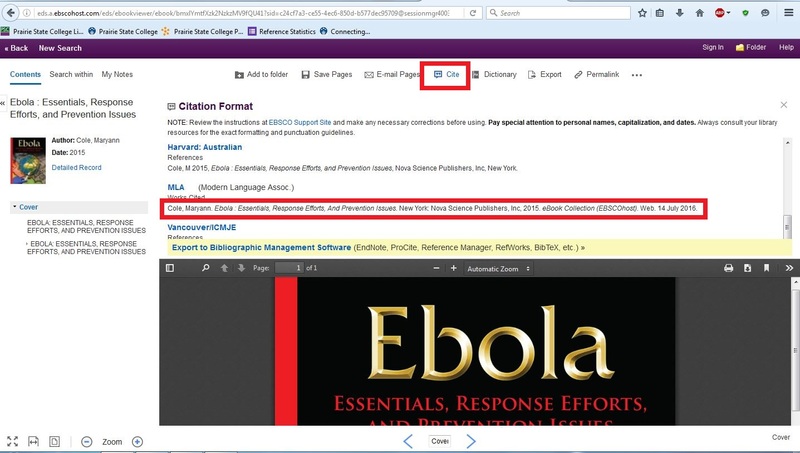 You can then copy and paste that citation text to include in your assignment. 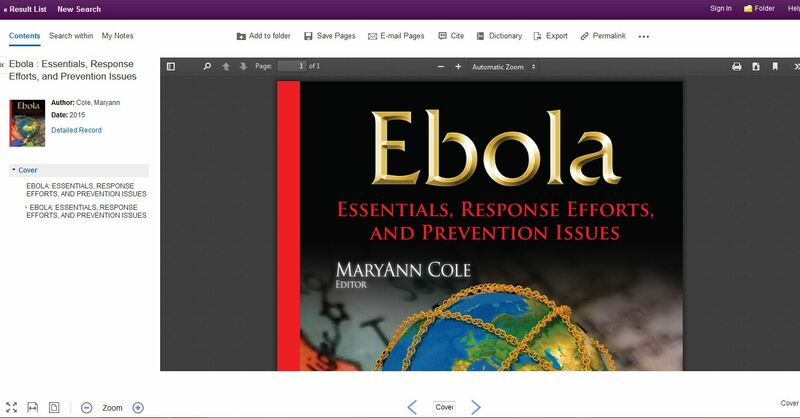 Be aware that by default it uses APA 6th ed. citations. You can change that by using the drop down box for citation style, selecting your preferred style, and clicking on the “Change” button. As always, your PSC librarians are happy to help you use the functions of any of these databases and tools and to help you search and critically think about information! 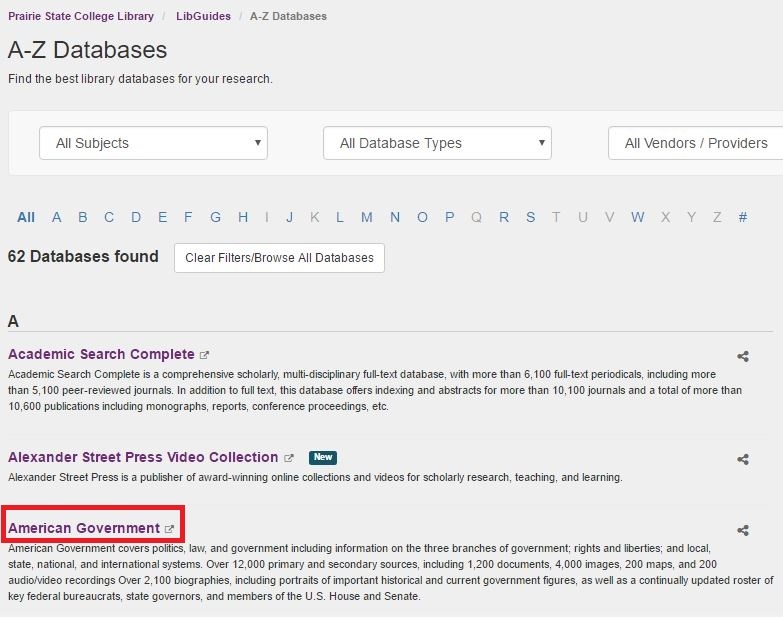 One often-overlooked resource available through the PSC Library is the American Government reference database from publisher ABC-CLIO. 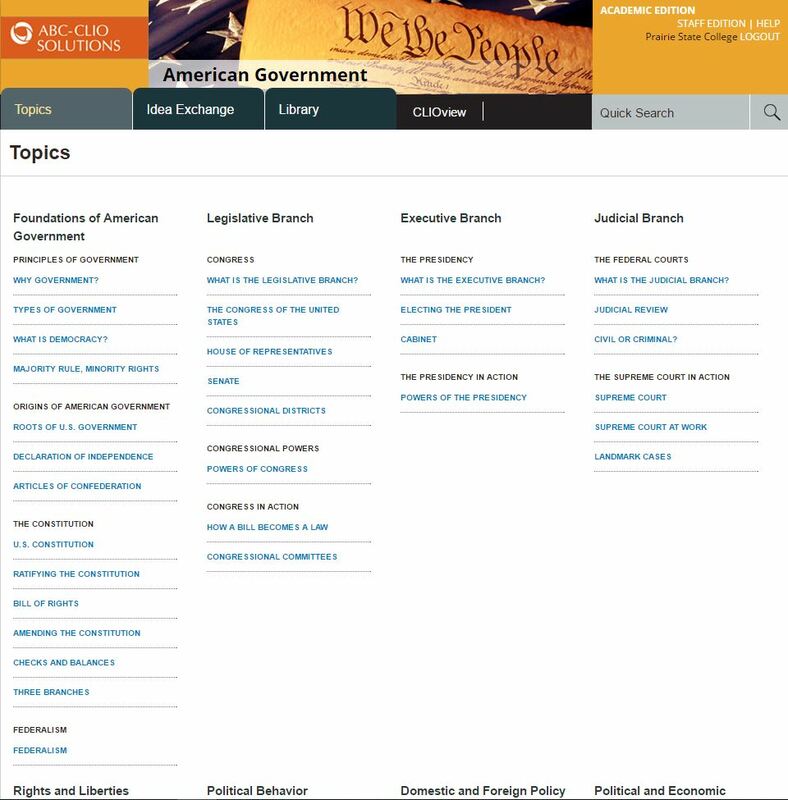 The American Government database has a wealth of information on the American government, including encyclopedia-type article on a variety of topics, such as the powers of the different branches of government, the rights listed in the Constitution, and the everyday working of the federal government. 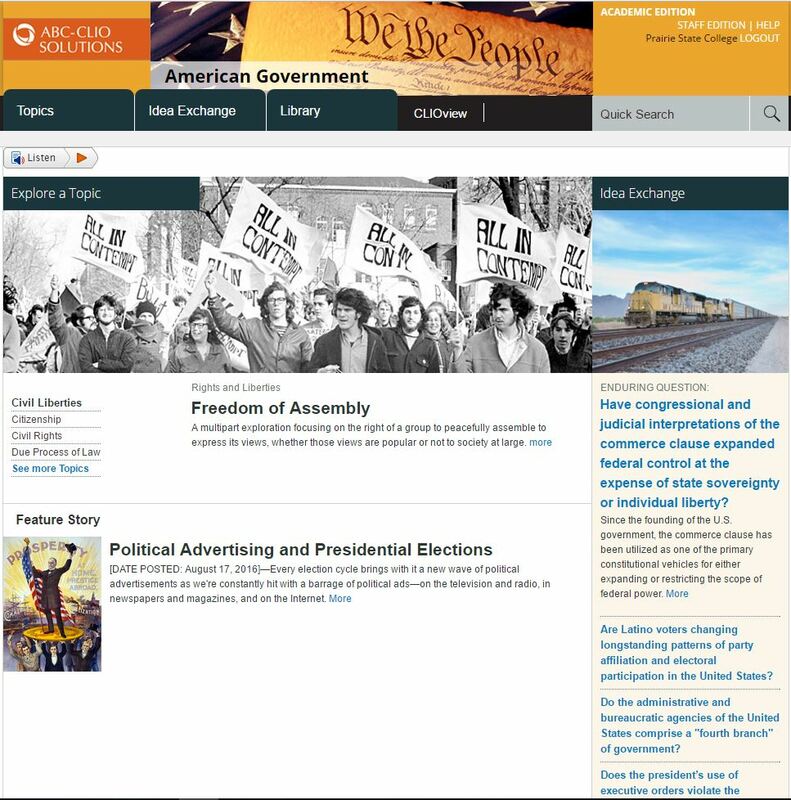 It also contains thousands of primary source materials, including speeches, letters, and political cartoons spanning hundreds of years, including important foundational documents like the Declaration of Independence, Constitution, Articles of Confederation, and resolutions of the Continental Congress, as well as important laws and court decisions. 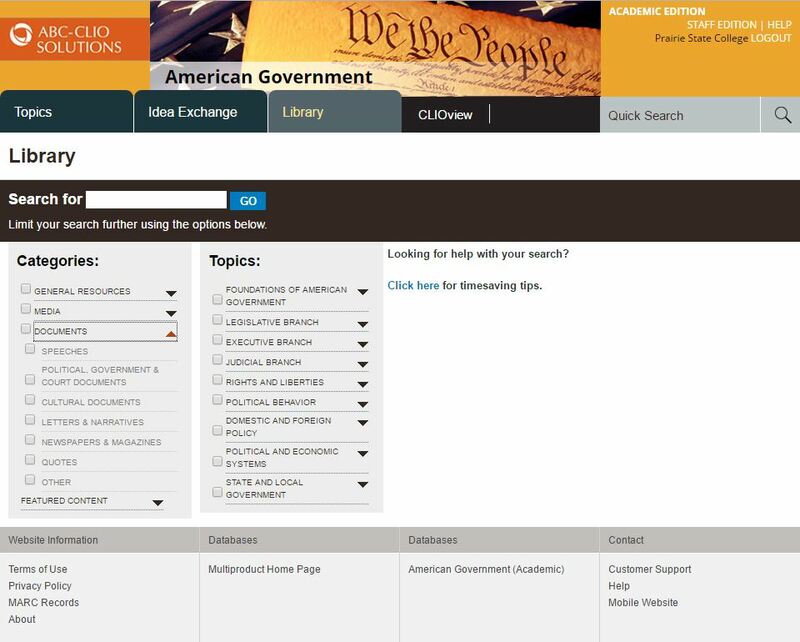 That will get you to the main American Government database page, which should look like this. If you are off-campus, you will need to log in using your PSC username and password. To access the reference articles about different topics, click on the “Topics” tab at the top-left of the page, which will send you here. Simply click on any of the topic links to read the full article. If you want to search for historical documents, images, letters, laws, etc., click on “Library,” which will send you to this page. You can search this using keywords, and you can also use the check-boxes under “Categories” to limit your results to specific kinds of documents or media. As always, if you have any questions don’t hesitate to Ask A Librarian, either in person at the reference desk or via our online chat/text service, which can be found at the library website. April 27, 2016 November 30, 2016 by Thane, posted in Databases, Magazines, Research Help! 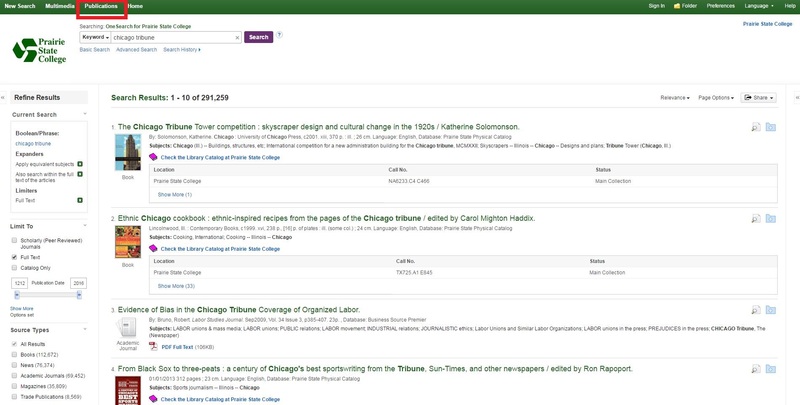 As great as OneSearch is for keyword searches, it’s not necessarily straightforward how you can search for a specific magazine, newspaper, or journal title. If you just throw the title into the main OneSearch search box, the results usually don’t work out the way you would expect. I can already hear you asking, “Why would I be searching for a specific publication title anyway?” Well, for one thing, the library offers online access to some of the most popular magazines, like National Geographic, Consumer Reports, and Newsweek, which you can read by issue, and many of them in PDF form with the original photos and layout. The same is true for newspapers. In particular, the Chicago Tribune is available, as are the Washington Post and New York Times. Anyone who has spent much time on the websites of those newspapers is probably familiar with the paywalls constantly asking you to log in or subscribe. Luckily, you don’t have to! All of these publications are available through the library’s database subscriptions. Finally, if you are in OneSearch already, you can get to Publication Finder by clicking on “Publications” at the top of the screen. This will take you to a different page, where you can select today’s issue, or a different issue available for that publication. Another great thing about Publication Finder, which can be really useful if you are doing research on a topic, is to search for publication titles by subject, or even just use the “Browse By Discipline” links to see a list of everything that is available in a particular subject area. 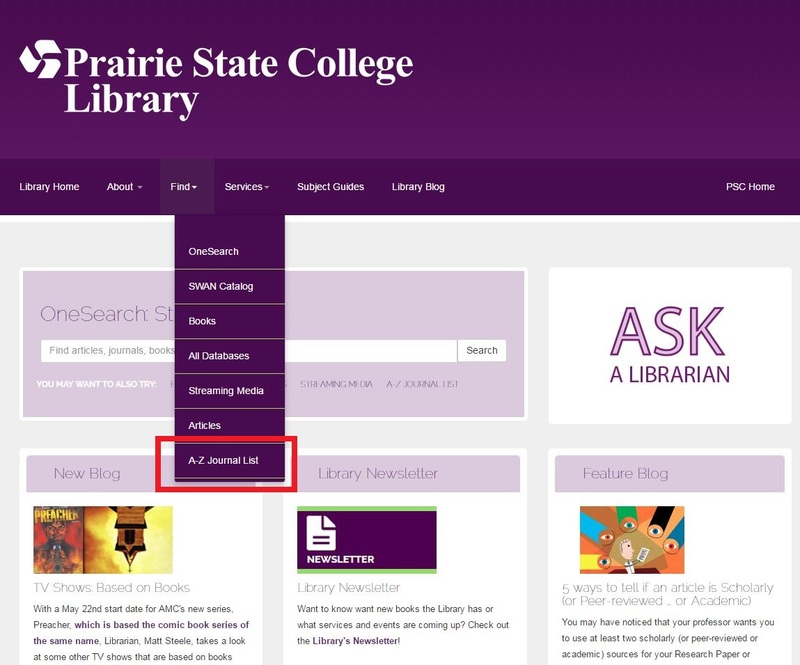 If you have any questions about using Publication Finder, or if you can’t find a particular publication, contact the PSC library and we’ll be happy to help! Out of all the deaths of famous and somewhat famous people that have occurred recently, the one that personally hit me the most was that of Umberto Eco. When I was around 13 or 14, I read his novel Foucault’s Pendulum, which I had found serendipitously in a bookstore. At the time, I was fascinated by all the historical references, and to the conspiracies and secret societies which it described and satirized. To this day I still think it’s a great satire of what happens when you really jump down the rabbit hole of conspiracy theorizing. And from a literary perspective, the writing in this, and other books of his that I would later read, strike me as just the right mix of erudition and accessibility. You enjoy reading Eco, not only for the story, but for the use of language, which comes across even in translation from Italian. You also inevitably learn something. Many years later when I heard about Dan Brown’s Da Vinci Code, which tread upon some of the same ground as Foucault’s Pendulum, I was annoyed that such an inferior work could enjoy so much more success. Eco had an amazing ability to make the past seem like a living, breathing reality, something that really comes across best in the other three novels pictures above: The Name of the Rose, The Island of the Day Before, and Baudolino. The first is a murder-mystery set in a medieval monastery, with a Sherlock Holmes-type monk sent in to investigate. The Island of the Day Before is concerned, among other things, with the 17th and 18th century race to discover an accurate way to measure longitude, with all its immense implications for transoceanic navigation. Baudolino is about a peasant boy sold off to the Holy Roman Emperor Frederick Barbarossa, who eventually goes off in search of the legendary Kingdom of Prester John, and after wandering through a variety of fantastical lands, ends up in Constantinople while it is being sacked by the Fourth Crusade. Of course, as well known as he was for his literary works, Eco was also a scholar, working most often in literary theory and “semiotics,” the study of signs and signification–a field in which he was a central figure. This scholarship certainly informed his approach to literature, and to some extent it’s no surprise that his earliest novel, The Name of the Rose, would deal with questions of medieval philosophy, the subject of his earliest scholarly work. At the same time, his scholarly concerns never seemed to displace the artistry or fun in his fiction works, something that isn’t true of many figures. Thanks for the stories, Mr. Eco. 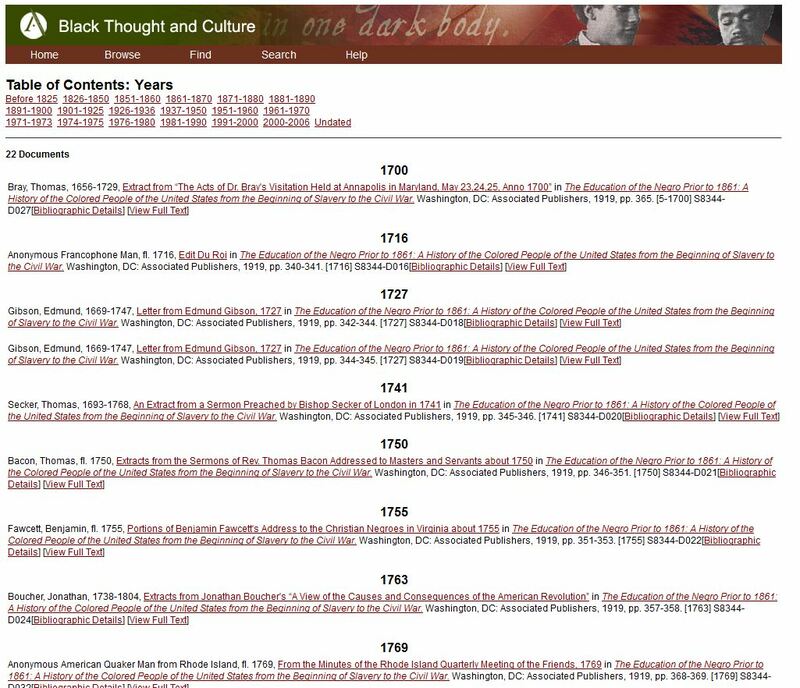 The Black Thought and Culture database from Alexander Street Press is an impressive electronic resource that gathers together writings and information on a large number of important black thinkers and cultural figures. It includes major works by Frederick Douglass, Malcolm X, Marcus Garvey, Sammy Davis Jr., Ida B. Wells, Nikki Giovanni, Mary McLeod Bethune, Audre Lord, A. Philip Randolph, Amiri Baraka, Ralph Ellison, Langston Hughes, Henry Louis Gates Jr., Bayard Rustin, and many, many others. A large amount of the material you can find in this particular database is previously unpublished or hard to find. Some of this includes the entire run of the Black Panther newspaper, a transcript of the trial of Muhammad Ali, and many oral histories and interviews with musicians and artists. 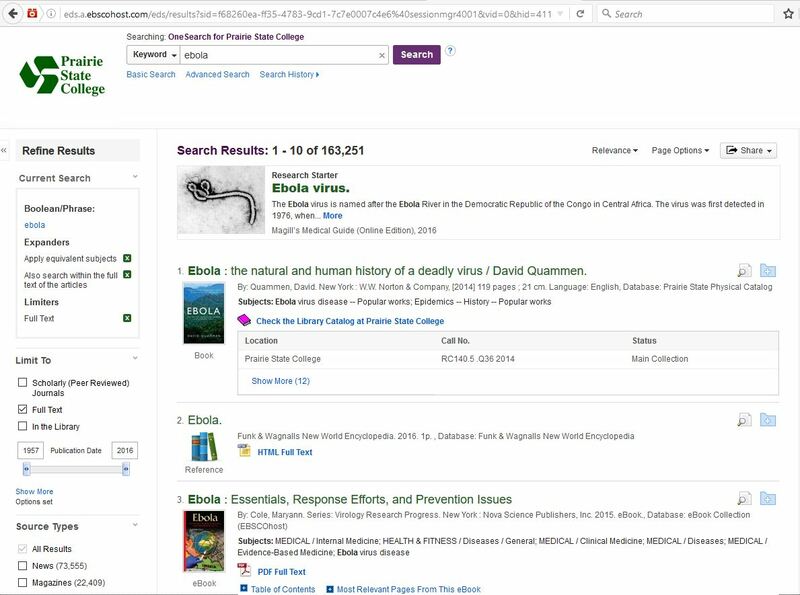 You can also search by authors, keywords, and more using the this database’s advanced search, which you can find simply by mousing over “Search” and then clicking on “Advanced,” though you can certainly use the simple search if you don’t need all the extra options! Be sure to ask your librarians if you have any questions about finding anything!